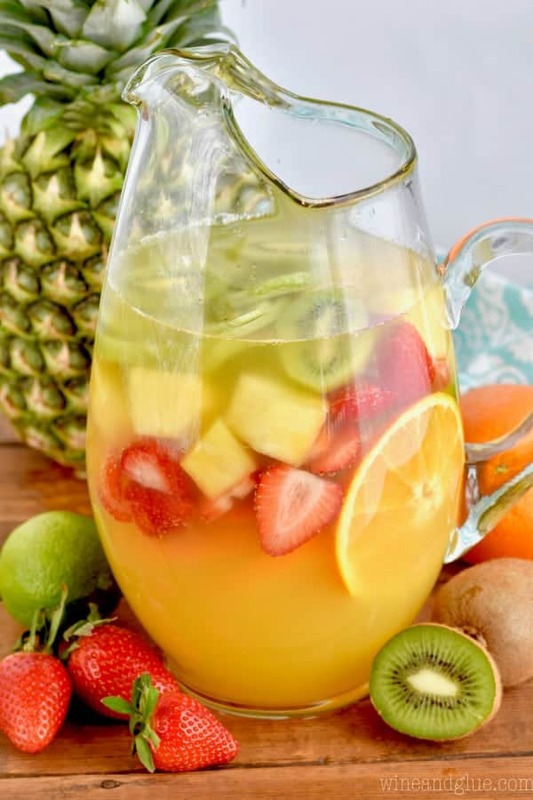 This Tropical Margarita Sangria recipe starts with white wine and then some simple ingredients – tequila, pineapple juice, simple syrup and fruit! This easy cocktail is a fun twist on a traditional sangria recipe. If you are looking for more fun twists on cocktails, try this Margarita Moscow Mule, this Cranberry Beergarita, or this Strawberry Daiquiri Sangria. Or is it? Sure seems hard to tell with all the snow flying everywhere! I am for sure ready for warmer weather. In the spring I get super antsy for summer BBQs and cocktails on the patio. Probably because I live in Wisconsin and summer is exactly four days long so you have to enjoy every single second of it. Which is why I start my alcohol plans in March. 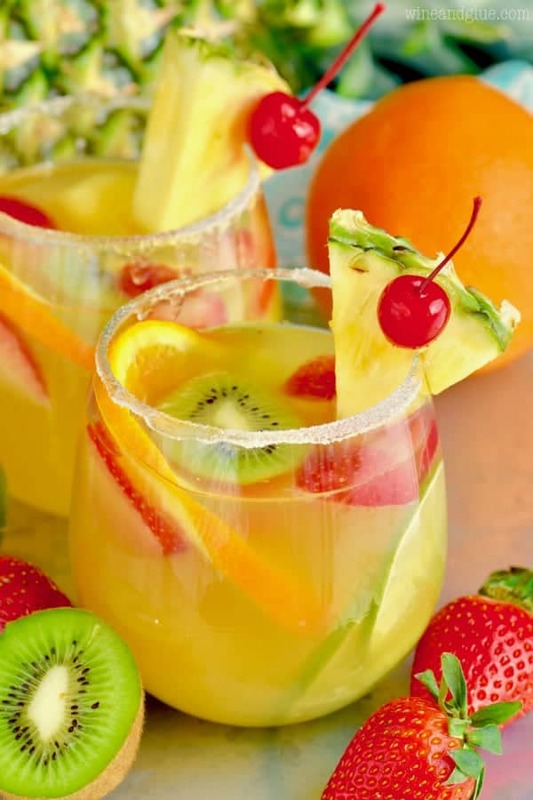 Top of your summer drinking list should be this Tropical Margarita Sangria! While I love a traditional sangria recipe as much as the next person, it’s great to do fun twists on classics! This recipe combines two of my favorites, an amazing margarita and sangria! I like to make my sangria in a less traditional way. 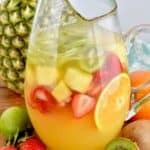 I opt to combine different liquors with the wine, and mix things up with other flavors like different juices and fruits, like in this Pina Colada Sangria or this Apple Pie Sangria! WHAT MAKES A TROPICAL MARGARITA SANGRIA? In this recipe I took the makings of a margarita: tequila, triple sec, and lime juice. Then I added in some pineapple juice and tropical fruit to make a truly special and amazing sangria! Rim your glasses with some sugar and garnish with a pineapple chunk and a cherry to make for a perfect drink! 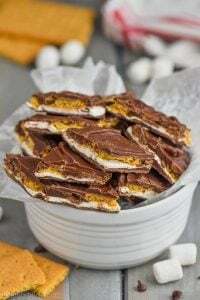 If you are looking for a slightly sweeter drink, you could add in more simple syrup or make this with moscato! Looking for more great cocktails to serve at your parties? Check out these beauties! 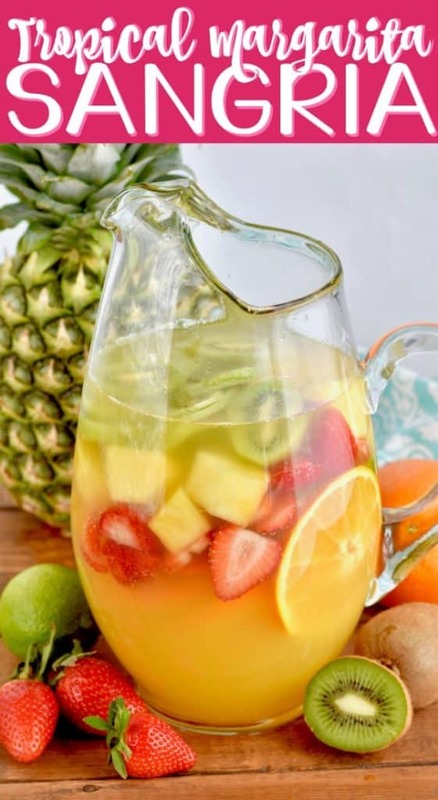 This Tropical Margarita Sangria recipe starts with white wine and then some simple ingredients - tequila, pineapple juice, simple syrup and fruit! This easy cocktail is a fun twist on a traditional sangria recipe. 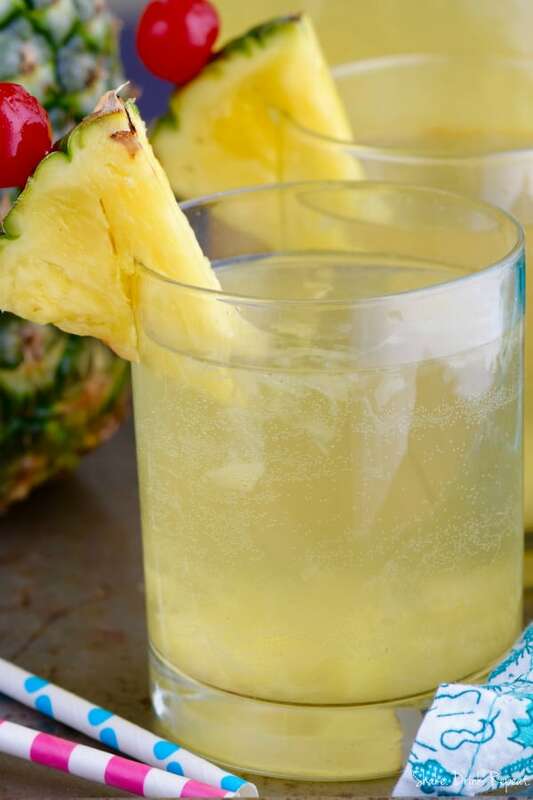 In a large pitcher combine triple sec, tequila, simple syrup, lime juice, pineapple juice and sparkling white wine. Stir in the chopped fruit and serve in sugar rimmed glasses! Tonight I am going to a tapas restaurant that’s known for their sangria. 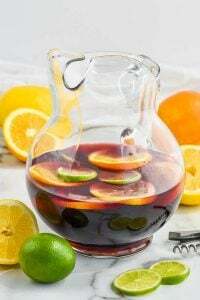 Love sangria and yours looks absolutely perfect! So colorful and lively and pretty! The tropical sangria was excellent! I tried it st home just for me and I’m in love ???? I’m so happy you liked it Tammie! Holy crap, this looks good. I’m actually in bartending school, and this would come in handy for an event. Question, did you use a dry sparkling white wine or a sweet white wine? 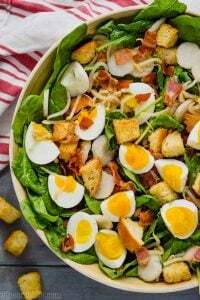 All of it looks delicious a must try this summer???????????????????? Any recommendations for which white wine to use with this? I used a generic white spritzer blend and it was delicious! I made this over the weekend and it is to die for. Absolutely delicious!!!! So glad you loved in Donna! Like you, I get c.a. 5 days of summer each year! 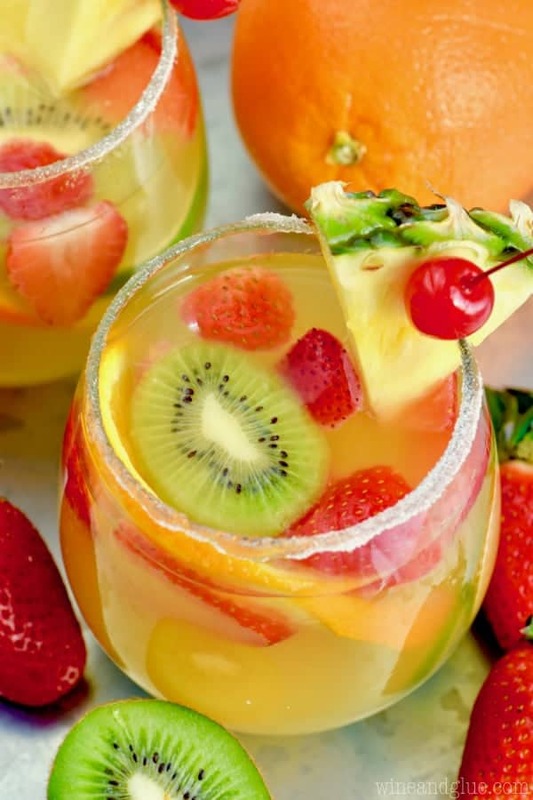 Having friends over tomorrow and I can’t wait to try this margarita sangria! 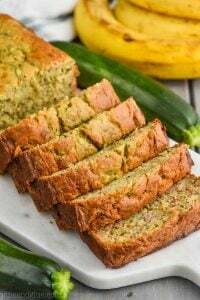 We made this for a 4th of July gathering and it was so good! I had some random things I was trying to use up so we used Moscato, some mango rum, and a mango lemonade instead of pineapple juice and frozen strawberries for ice cubes. It’s really versatile and was great to make a pitcher of something instead of single drinks for a crowd. Thank you for the inspiration! If I make the sangria using Moscato do I eliminate anything? Don’t want to make it too sweet. That’s a great question! I would make it without the simple syrup and then taste it to see if you need to add some or all of it. I’m thinking Malibu Rum in place of tequila would be awesome! If you try that combo, let me know how it tastes! When you say to use a sparkling white wine do you mean champagne? I don’t know what other varietal of white wine is “sparkling “?? There are some brands on the market that are sparkling white blends but aren’t champagnes. Otherwise you could just use a sweet white blend. I think this would be perfect for new year’s eve celebration. So excited to try it!